While no one was hurt in the fire, witnesses could see the dark plume of smoke from miles away. Newark police advised people to avoid the area and issued a shelter-in-place order for the immediate area in order to limit exposure to the smoke. The Bay Area Air Quality Management District advised people located downwind to take standard precautions including closing windows and placing air conditioners in recirculate mode. A spokesperson added that vertical mixing of the air was helping prevent too much of the smoke from remaining at surface levels. Fumes from burning plastics are just one example of the toxic smoke that can be dangerous to human health. In an article discussing the use of wood-burning stoves, the Environmental Protection Agency warns against burning numerous substances because of the potential for dangerous fumes. These items include: Household trash (e.g., foam, plastics, items printed with colored ink, etc. ); Wood that has been coated, painted, and pressure-treated or wood that has glue on/in it; Particle board; Moldy, wet, or rotting woods; Plastics; Rubber; Animal feces or remains; and Asbestos. These are only a few of the many items that can release toxic fumes when burned. When toxic gases or other dangerous chemicals sicken people, the victims may have a claim under an area of the law known as “toxic torts.” Claims might be filed against the manufacturer that made a dangerous product, an employer that put employee health at risk, a company that improperly stored products raising the risk of a fire, or a range of other potential defendants. Since chemical fumes often sicken a number of individuals in a single incident, these claims are often amenable to resolution via a class action which allows multiple victims to band together and bring suit collectively. If you or someone you love has been sickened by toxic smoke or other dangerous chemical fumes in the Northern California area, we can help. Attorney Greg Brod has experience dealing with the complex issues raised in toxic tort cases. You may be entitled to compensation for your injuries. 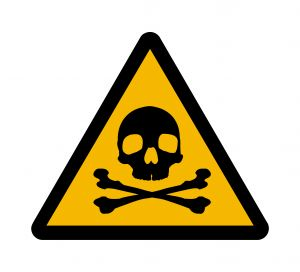 Call our toxic exposure law firm in Oakland, San Francisco, or Santa Rosa today. All offices can be reached by our toll-free number: (800) 427-7020 or via the contact form on this website.